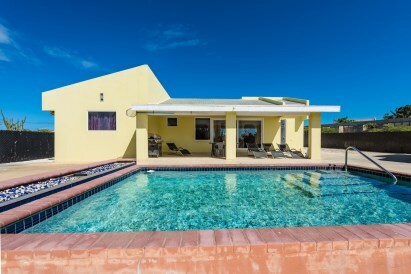 Family home with private pool for sale in Papaya. 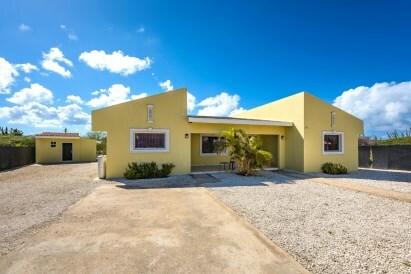 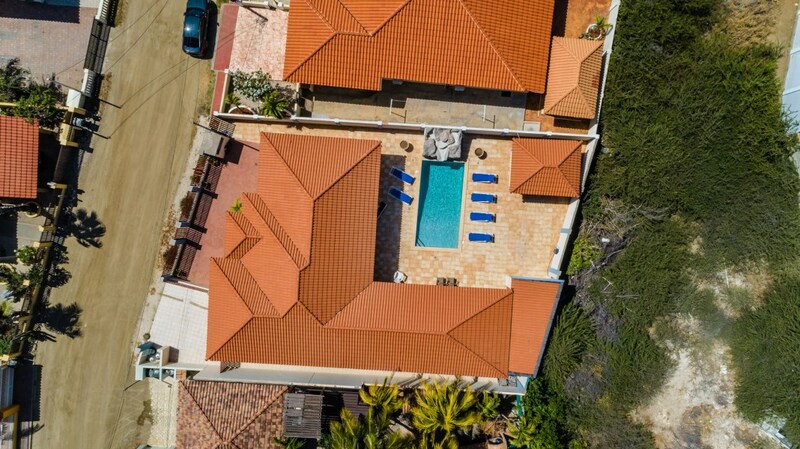 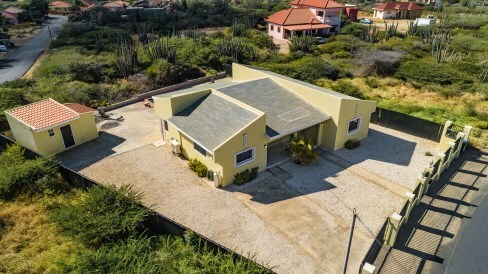 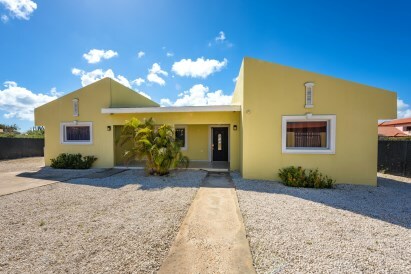 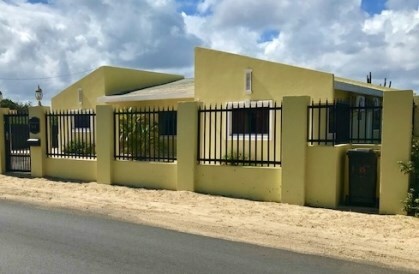 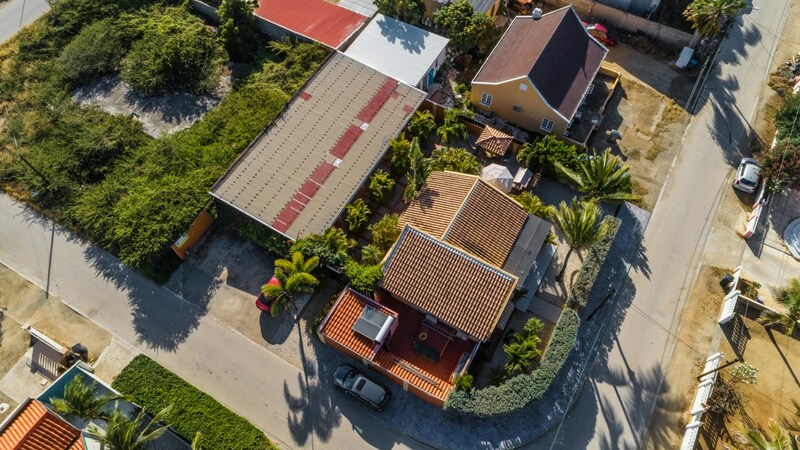 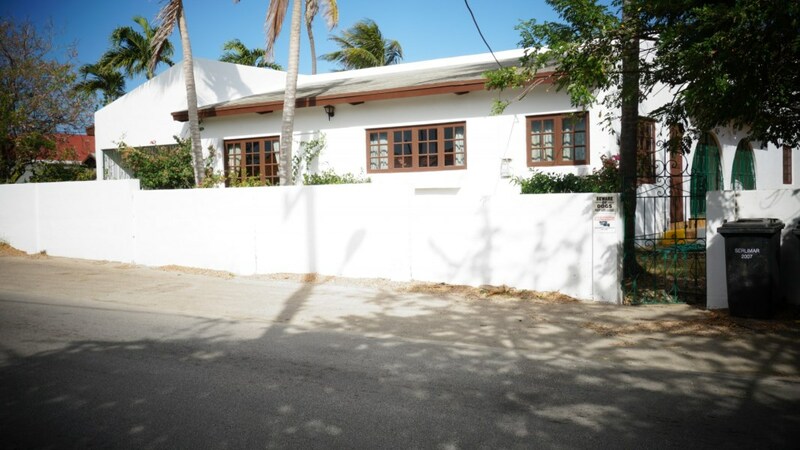 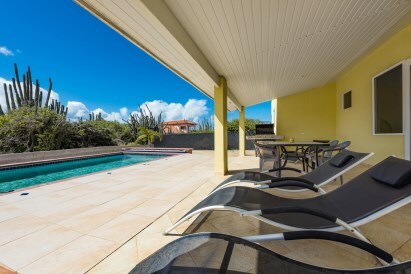 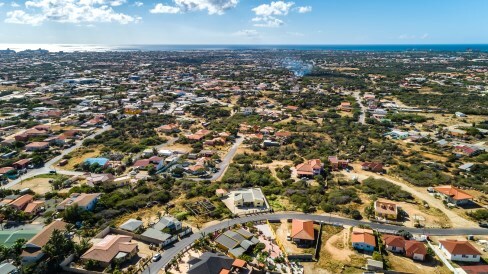 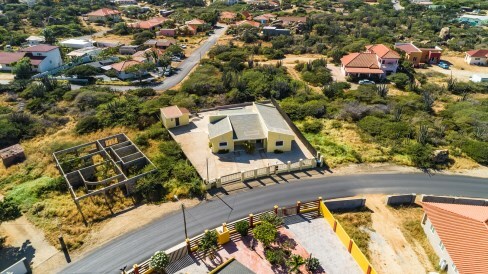 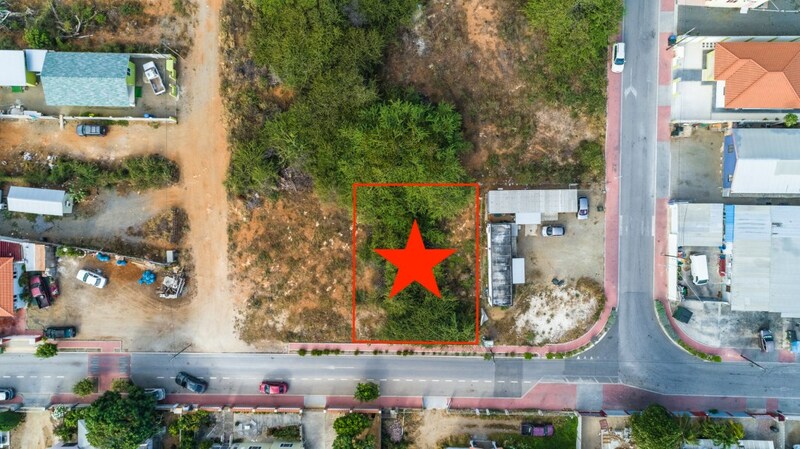 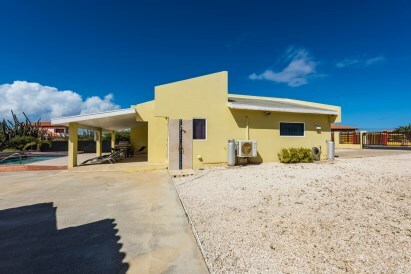 The house has 3 bedrooms and 2 bathrooms on an excellent central location from where it is just a few car minutes to the center of Oranjestad as wel as the beautiful beaches in Noord and Eagle. 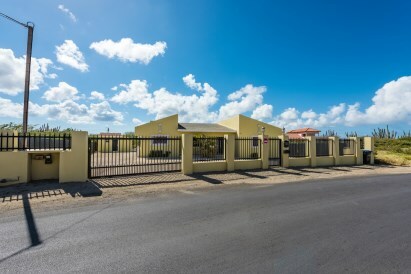 When you enter the driveway of this property there is ample parking for at least 2 cars. 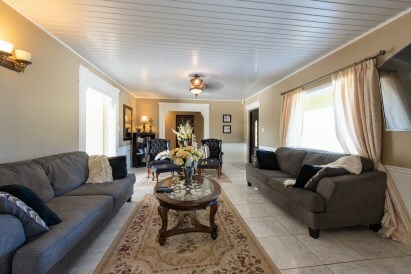 At the entrance of the house, there is a small front porch with passage to the first (living)room. 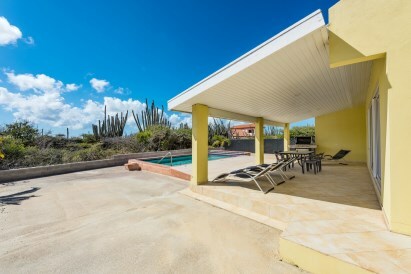 Through this central space, there is a passage to the adjoining second living room; a beautiful place with access to the outdoor terrace and the garden. 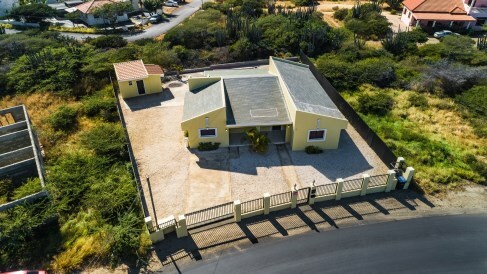 On the left side of the house you will find the fully equipped kitchen which has a playful layout due to its separate parts and the freestanding kitchen island. 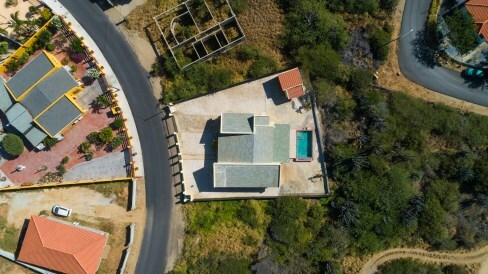 There is, therefore, a lot of storage- and workspace. 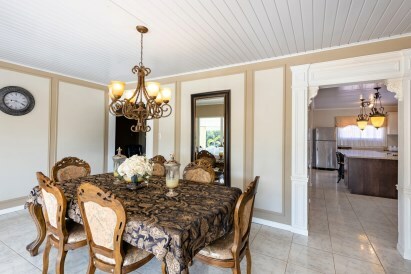 In addition, there is a dining table in this room. 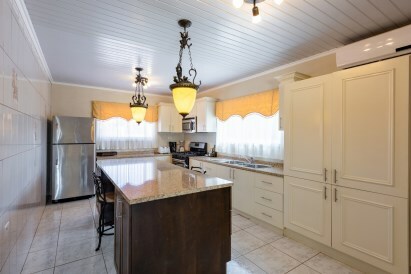 From the kitchen there is also an entrance to the scullery/laundryroom. 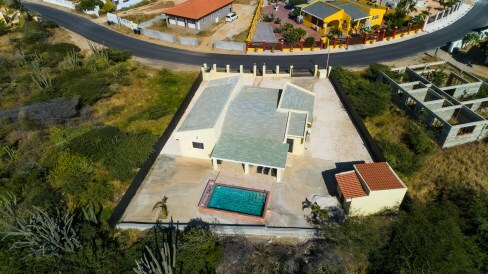 There are 3 bedrooms present in the house. 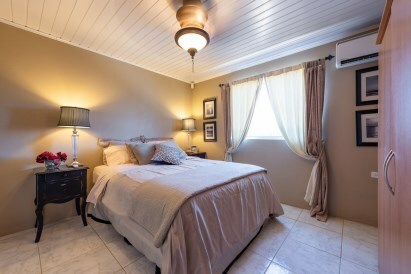 The master bedroom is spacious and has a bathroom ensuite. 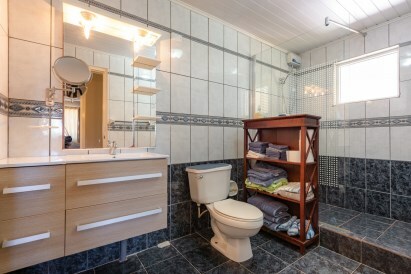 This bathroom has a double sink, spacious shower, toilet and a storage cabinet. 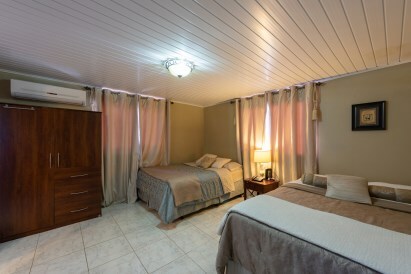 The second and third bedroom are also situated on the right side of the house. 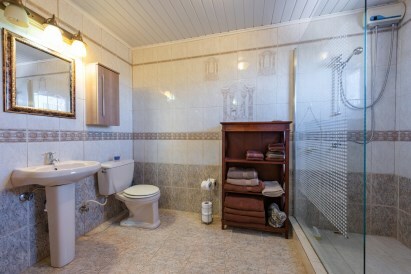 In front of these two rooms, there is a second bathroom which is equipped with a shower, sink and toilet. 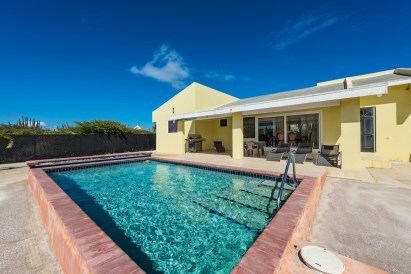 At the rear of the house is a beautiful pool (3.5m x 7m) with spacious pooldeck. 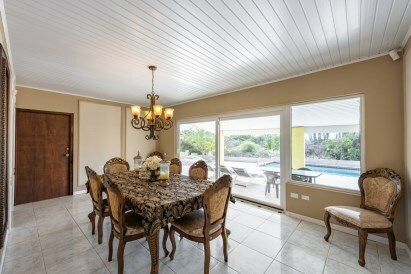 This is the ideal place to relax or to entertain your guests. 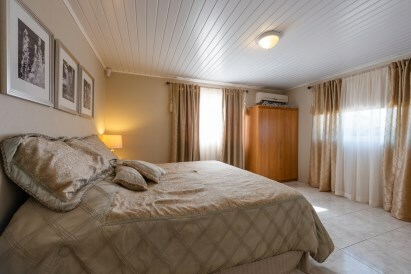 As an extra, this house has a separate storage room at the rear of the plot. 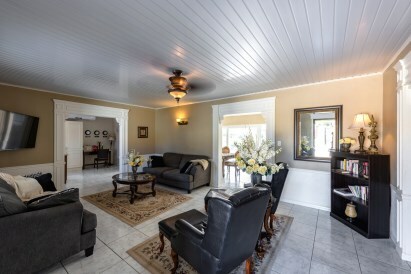 This beautiful house comes fully furnished.